Jim Piper and Cece Matot, of Matot, Inc. showing an example of one of their Matot Dumbwaiters in action. 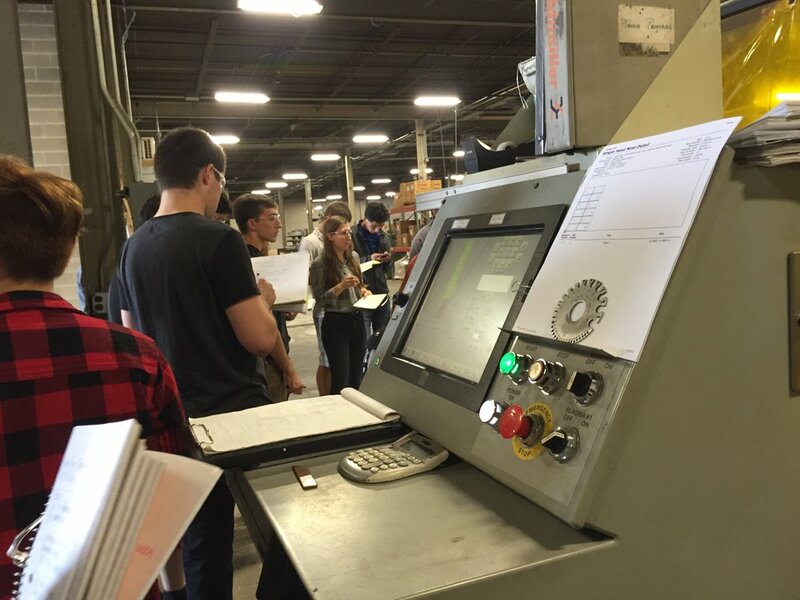 On Wed. September 14th, DesignHouse organized a Tour + Talk at Matot, a local dumbwaiter manufacturer in the Chicagoland area. Matot has been family owned in Chicago since 1888 and is currently operated by two sisters, Cece and Ann. We had about 20 people come out for the tour, including a visitor from a German Economic Development Board. Contrary to their name, dumbwaiters are complex and customized products. As a full product manufacturer, we were able to see the entire process from stock to package. 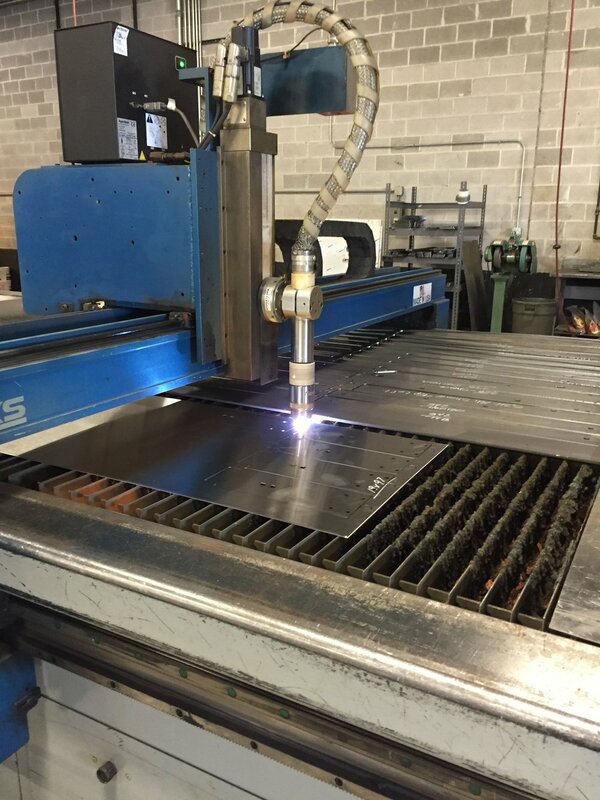 The tour started watching flat sheets of metal get cut via a Plasma Cutter to each custom size then bent through a Press Brake to take their form. Next parts were taken to the Welders where they started to take shape. The dumbwaiters then get powder coated and outfitted with gears and electronics that fit their ultimate destination- be it a 2 or 18 story hospital, restaurant or hotel. After the tour we then discussed the business model of manufacturing over lunch. Jim Piper, the Executive Vice President of Matot, gave us insight into the costs associated with manufacturing- “Steel is cheap, what really adds up for the cost of a product is the engineering and labor” sharing with us that parts with less labor (engineering, welding, assembly) can help simplify the design more than size. That being said, Matot has skilled engineers on staff that customize and translate the dumbwaiter designs which could also be an asset to certain small businesses. He also said that Matot's sheet metal tool kit is open for other businesses looking to utilize their capabilties in sheet metal, electronics and engineering. Interested parties can contact Jim to discuss part quotes or longer term partnerships. Lunch and discussion around how Industrial Designers can work more closely with Matot. The owners, Ann and Cece spoke to their pride in having a family owned business that maintained their production in the U.S. You could see their passion for making products in the factory itself- the space is clean and full of the 100+ years of history behind Matot. The old Matot factory when ice boxes and dumbwaiters were made from wood.